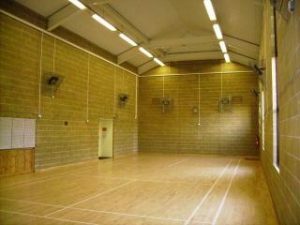 The Millennium Hall is a large and modern sports hall suitable for most indoor sports events and for meetings of up to 150 people seated or 250 standing. It is ideal for parties and receptions and there is a well appointed kitchen, de-mountable staging and PA system. Showers are available. TO VIEW OTHER MONTHS PLEASE USE SCROLL DOWN ON FAR RIGHT HAND SIDE AND SELECT THE MONTH AT THE BOTTOM.